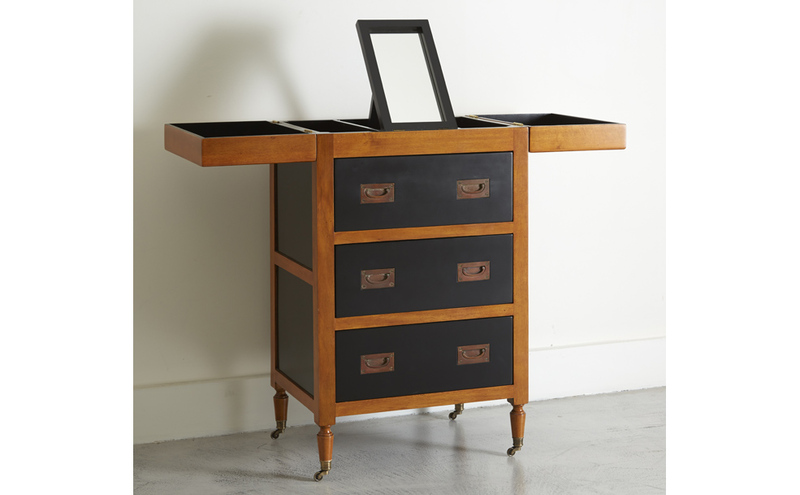 A small dressing table inspired by an Eastern design. 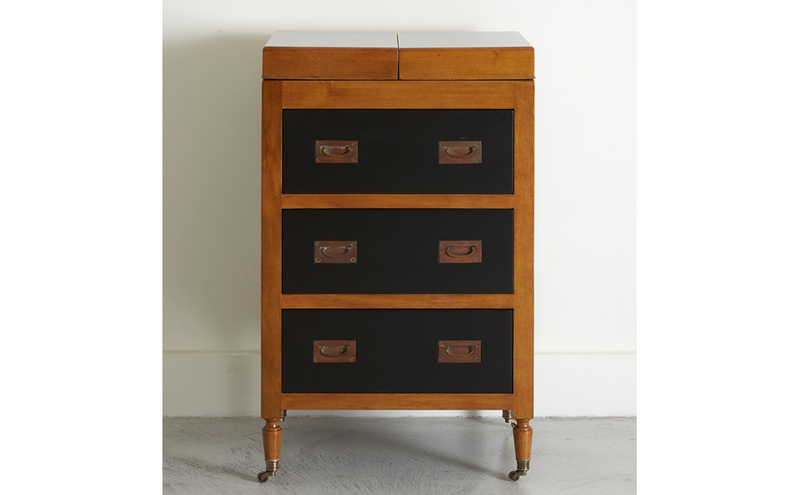 A small dressing table inspired by an Eastern design, with trunk style brass handles, contrasting wood colours and beautifully designed legs with brass castors. 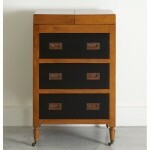 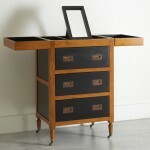 The top opens to reveal several compartments, and contains its own mirror.